Back cover blurb: An electrifying debut crime novel and the first in the Harry Cull Series, set in the dark woods of North-Eastern Pennsylvania. Perfect for fans of Stuart MacBride, Mark Billingham and Peter May. A BODY IN THE WOODS. Deep in the woods of North-Eastern Pennsylvania, the body of a man is found – shot three times, once in the back of the head, dumped under the trees where the local kids will find him. A MAN ON THE CASE. When psychologist Harry Cull arrives in the picturesque town of Ice Lake to help with the murder investigation, he begins to unravel a web of lies and deceit that leads from the close-knit community to the dark heart of the Fracking industry. A KILLER ON THE HUNT. It’s not long before the second corpse turns up, a lawyer left for dead in the forest, and Harry finds himself on the trail of a twisted killer – who will do anything to keep the town’s darkest secrets buried. 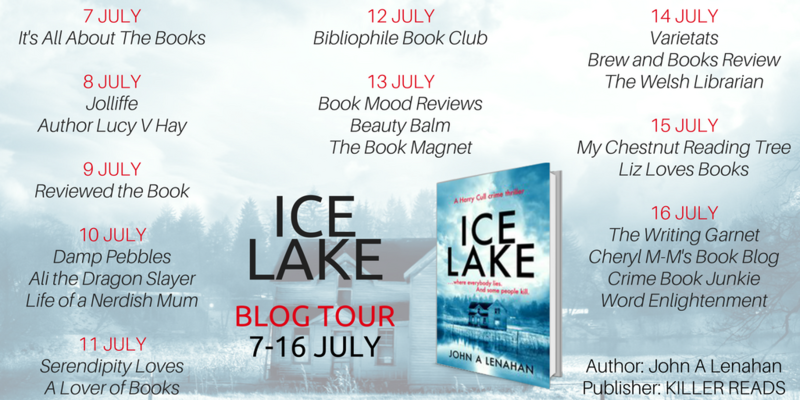 Ice Lake is a brilliant debut crime novel and I'm thrilled that it's set to be a series because I'm a little bit in love with Harry Cull. He's just brilliant! Harry is a former cop turned psychologist who finds himself in the picturesque town of Ice Lake helping an old friend out "unofficially" with a murder investigation. Trooper Cirba and Harry met in Vegas years before and struck up an unlikely friendship. Ice Lake is a close knit community where outsiders are not necessarily made welcome. The murder victim Billy, wasn't exactly a golden child, he was well known to local police, but no one would have wished him dead. Or so the locals think. Because someone so obviously did want Billy dead. It seems that just when he might have been trying to educate himself and make a better life for himself, that he was discovering things that perhaps weren't supposed to be discovered. And that made him a target for those who wanted those secrets to kept forever. I loved the small town relationships in this novel, the relationships between Trooper Cirba and Harry, between the grumpy store owner Todd and Harry, and in particular the relationship between Harry and MJ, Harry's temporary (and very good looking) ext door neighbour. Harry's willingness to do whatever it takes to get the job done, even if that might be a little unorthodox, really warmed me to him as a character and I can't wait to see what he might get up to next. Roll on book no 2! 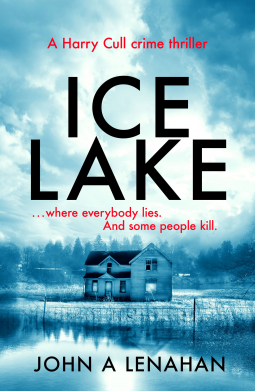 Ice Lake is available now via Amazon online and all good book shops. Thank You to the publisher who sent me an advanced copy of this novel in exchange for an honest review. (c) Vicky-Leigh Sayer 2013 - 2019. Simple theme. Powered by Blogger.